disadvantages of nanosuspensions, and also, preparation methods for nanosuspensions. bu ilaç şekli, eşsiz özelliklerinden dolayı farmasötik alanda popülerlik kazanmıştır. aynı zamanda nanosüspansiyon hazırlama yöntemleri üzerine odaklanmaktadır. 1. Agarwal V, Bajpai M: Nanosuspension technology for poorly soluble drugs: Recent researches, advances and patents. Recent Patents on Nanotechnology 2015, 9(3):178-194. 2. Yadollahi R, Vasilev K, Simovic S: Nanosuspension technologies for delivery of poorly soluble drugs. Journal of Nanomaterials 2015, 2015. doi:10.1155/2015/216375. 3. Shid RL, Dhole SN, Kulkarni N, Shid SL: Nanosuspension: a review. International Journal of Pharmaceutical Sciences Review and Research 2013, 22(1):98-106. 4. Patel VR, Agrawal YK: Nanosuspension: an approach to enhance solubility of drugs. Journal of Advanced Pharmaceutical Technology and Research 2011, 2(2):81-87. 5. Acartürk F. Süspansiyonlar. In: Acartürk F, Ağabeyoğlu İ, Çelebi N, Değim T, Değim Z, Doğanay T, Takka S, Tırnaksız F (eds), Modern Farmasötik Teknoloji. Türk Eczacılar Birliği Eczacılık Akademisi Yayını, Ankara, Türkiye. 2009: 301-316. 6. Sutradhar KB, Khatun S, Luna IP: Increasing possibilities of nanosuspension. Journal of Nanotechnology 2013, 2013. doi:10.1155/2013/346581. 7. Wang L, Du J, Zhou Y, Wang Y: Safety of nanosuspensions in drug delivery. Nanomedicine 2017, 13(2):455-469. 8. Banshraj B, Chaudhury S, Sharma S, Rajput G: A review on nanosuspensions in drug delivery. International Journal of Pharma Professional’s Research 2013, 4(3):898-904. 9. Schweitzer A, Sucker H: Hydrosols-alternatives for the parenteral application of poorly water soluble drugs. European Journal of Pharmaceutics and Biopharmaceutics 1994, 40(2):64–72. 10. Müller RH, Jacobs C, Kayser O: Nanosuspensions as particulate drug formulations in therapy. Advanced Drug Delivery Reviews 2001, 47(1):3-19. 11. Kumar BS, Saraswathi R, Kumar KV, Jha SK, Venkates DP, Dhanaraj SA: Development and characterization of lecithin stabilized glibenclamide nanocrystals for enhanced solubility and drug delivery. Drug Delivery 2014, 21(3):173-184. 12. Muller RH, Peters K, Becker R, Kruss B: Nanosuspensions for the i.v. administration of poorly soluble drugs: stability during sterilization and long-term storage. Proceedings of the Controlled Release Society 1995, 22:574–575. 13. Yang L, Hong J, Di J, Guo Y, Han M, Liu M, Wang X: 10-Hydroxycamptothecin (HCPT) nanosuspensions stabilized by mPEG1000- HCPT conjugate: high stabilizing efficiency and improved antitumor efficacy. International Journal of Nanomedicine 2017, 12:3681-3695. 14. Sattar A, Chen D, Jiang L, Pan Y, Tao Y, Huang L, Liu Z, Xie S, Yuan Z: Preparation, characterization and pharmacokinetics of cyadox nanosuspension. Scientific Reports 2017, 7(1):2289. doi: 10.1038/ s41598-017-02523-4. 15. Gera S, Talluri S, Rangaraj N, Sampathi S: Formulation and evaluation of naringenin nanosuspensions for bioavailability enhancement. AAPS PharmSciTech 2017. doi: 10.1208/s12249-017-0790-5. 16. George M, Ghosh I: Identifying the correlation between drug/stabilizer properties and critical quality attributes (CQAs) of nanosuspension formulation prepared by wet media milling technology. European Journal of Pharmaceutical Sciences 2013, 48(1-2):142-152. 17. Yao L, Zhao X, Li Q, Zu Y, Fu Y, Zu B, Meng X, Liu C: In vitro and in vivo evaluation of camptothecin nanosuspension: a novel formulation with high antitumor efficacy and low toxicity. International Journal of Pharmaceutics 2012, 423(2):586-588. 18. Wang YC, Liu ZP, Zhang DR, Gao XH, Zhang XY, Duan CX, Jia LJ, Feng FF, Huang YJ, Shen YM, Zhang QA: Development and in vitro evaluation of deacety mycoepoxydiene nanosuspension. Colloids and surfaces. B, Biointerfaces 2011, 83(2):189-197. 19. Chin WW, Parmentier J, Widzinski M, Tan EH, Gokhale R: A brief literature and patent review of nanosuspensions to a final drug product. Journal of Pharmaceutical Sciences 2014, 103(10):2980-2999. 20. Junghanns J-UAH, Müller RH: Nanocrystal technology, drug delivery and clinical applications. International Journal of Nanomedicine 2008, 3(3):295-310. 21. Malamatari M, Somavarapu S, Taylor KM, Buckton G: Solidification of nanosuspensions for the production of solid oral dosage forms and inhalable dry powders. Expert Opinion on Drug Delivery 2016, 13(3):435-450. 22. Kavitha VB, Neethu CS, Dineshkumar B, Krishnakumar K, John A: Nanosuspension formulation: an improved drug delivery system. Nanoscience and Nanotechnology: An International Journal 2014, 4(1):1-5. 23. Öner L, Gürsoy RN. Nanokristaller. In: Gürsoy AZ (ed), Nanofarmasötikler ve Uygulamaları. Kontrollü Salım Sistemleri Derneği, İstanbul, Türkiye. 2014: 125-133. 24. Velmula M, Pavuluri P, Rajashekar S, Rao VUM: Nanosuspension technology for poorly soluble drugs - a review. World Journal of Pharmacy and Pharmaceutical Sciences 2015, 4(7):1612-1625. 25. Ye L, Miao M, Li S, Hao K: Nanosuspensions of a new compound, ER-β005, for enhanced oral bioavailability and improved analgesic efficacy. International Journal of Pharmaceutics 2017, 531(1):246- 256. 26. Talekar M, Ganta S, Amiji M, Jamieson S, Kendall J, Denny WA, Garg S: Development of PIK-75 nanosuspension formulation with enhanced delivery efficiency and cytotoxicity for targeted anti-cancer therapy. International Journal of Pharmaceutics 2013, 450(1-2):278-289. 27. Gao Y, Li Z, Sun M, Guo C, Yu A, Xi Y, Cui J, Lou H, Zhai G: Preparation and characterization of intravenously injectable curcumin nanosuspension. Drug Delivery 2011,18(2):131-142. 28. Pyo SM, Hespeler D, Keck CM, Müller RH: Dermal miconazole nitrate nanocrystals – formulation development, increased antifungal efficacy&skin penetration, International Journal of Pharmaceutics 2017, 531(1): 350-359. 29. Sinico C, Pireddu R, Pini E, Valenti D, Caddeo C, Fadda AM, Lai F: Enhancing topical delivery of resveratrol through a nanosizing approach. Planta Medica 2017, 83(5):476-481. 30. Rabinow BE: Nanosuspensions in drug delivery. Nature Reviews Drug Discovery 2004, 3(9):785-796. 31. Shegokar R, Singh KK: Surface modified nevirapine nanosuspensions for viral reservoir targeting: In vitro and in vivo evaluation. International Journal of Pharmaceutics 2011, 421(2):341-352. 32. Kayser O: A new approach for targeting to cryptosporidium parvum using mucoadhesive nanosuspensions: research and applications. International Journal of Pharmaceutics 2001, 214(1-2):83–85. 33. Müller RH, Jacobs C: Buparvaquone mucoadhesive nanosuspension: preparation, optimisation and long-term stability. International Journal of Pharmaceutics 2002, 237(1–2):151–161. 34. Krause KP, Kayser O, Mäder K, Gust R, Müller RH: Heavy metal contamination of nanosuspensions produced by high-pressure homogenisation. International Journal of Pharmaceutics 2000, 196(2):169-172. 35. Itoh K, Pongpeerapat A, Tozuka Y, Oguchi T, Yamamoto K: Nanoparticle formation of poorly water-soluble drugs from ternary ground mixtures with PVP and SDS. Chemical and Pharmaceutical Bulletin (Tokyo) 2003, 51(2):171-174. 36. Kulkarni RR, Phadtare DG, Saudagar RB: A novel approach towards nanosuspension. Asian Journal of Pharmaceutical Research 2015, 5(4):186-194. 37. Salazar J, Müller RH, Möschwitzer JP: Combinative particle size reduction technologies for the production of drug nanocrystals. Journal of Pharmaceutics 2014, 2014. doi:10.1155/2014/265754. 38. Pireddu R, Sinico C, Ennas G, Marongiu F, Muzzalupo R, Lai F, Fadda AM: Novel nanosized formulations of two diclofenac acid polymorphs to improve topical bioavailability. European Journal of Pharmaceutical Sciences 2015, 77:208-215. 39. Kanthamneni N, Valiveti S, Patel M, Xia H, Tseng Y-C: Enhanced bioavailability of danazol nanosuspensions by wet milling and high- pressure homogenization. International Journal of Pharmaceutical Investigation 2016, 6(4):218-224. 40. Liu T, Müller RH, Möschwitzer JP: Systematical investigation of a combinative particle size reduction technology for production of resveratrol nanosuspensions. AAPS PharmSciTech 2017, 18(5):1683-1691. 41. Wang Y, Zheng Y, Zhang L, Wang Q, Zhang D: Stability of nanosuspensions in drug delivery. Journal of Controlled Release 2013, 172(3):1126-1141. 42. Verma S, Huey BD, Burgess DJ: A scanning probe microscopy method for nanosuspension stabilizer selection. Langmuir 2009, 25(21):12481–12487. 43. Verma S, Kumar S, Gokhale R, Burgess DJ: Physical stability of nanosuspensions: investigation of the role of stabilizers on Ostwald ripening. International Journal of Pharmaceutics 2011, 406(1-2):145- 152. 44. Quan P, Shi K, Piao H, Piao H, Liang N, Xia D, Cui F: A novel surface modified nitrendipine nanocrystals with enhancement of bioavailability and stability. International Journal of Pharmaceutics 2012, 430(1-2):366-371. 46. Hong C, Dang Y, Lin G, Yao Y, Li G, Ji G, Shen H, Xie Y: Effects of stabilizing agents on the development of myricetin nanosuspension and its characterization: an in vitro and in vivo evaluation. International Journal of Pharmaceutics 2014, 477(1-2):251-260. 47. Guo L, Kang L, Liu X, Lin X, Di D, Wu Y, Kong D, Deng Y, Song Y: A novel nanosuspension of andrographolide: Preparation, characterization and passive liver target evaluation in rats. European Journal of Pharmaceutical Sciences 2017, 104:13-22. 48. Choi JY, Yoo JY, Kwak HS, Nam BU, Lee J: Role of polymeric stabilizers for drug nanocrystal dispersions. Current Applied Physics 2005, 5(5):472–474. 49. Dolenc A, Kristl J, Baumgartner S, Planinsek O: Advantages of celecoxib nanosuspension formulation and transformation into tablets. International Journal of Pharmaceutics 2009, 376(1-2):204-212. 50. Ghosh I, Schenck D, Bose S, Ruegger C: Optimization of formulation and process parameters for the production of nanosuspension by wet media milling technique: Effect of Vitamin E TPGS and nanocrystal particle size on oral absorption. European Journal of Pharmaceutical Sciences 2012, 47(4):718–728. 51. Ghosh I, Bose S,Vippagunta R, Harmon F: Nanosuspension for improving the bioavailability of a poorly soluble drug and screening of stabilizing agents to inhibit crystal growth. International Journal of Pharmaceutics 2011, 409(1-2):260–268. 52. Deng J, Huang L, Liu F: Understanding the structure and stability of paclitaxel nanocrystals. International Journal of Pharmaceutics 2010, 390(2):242–249. 53. Aghajani M, Shahverdi AR, Rezayat SM, Amini MA, Amani A: Preparation and optimization of acetaminophen nanosuspension through nanoprecipitation using microfluidic devices: an artificial neural networks study. Pharmaceutical Development Technology 2013, 18(3):609-618. 54. Chen X, Matteucci ME, Lo CY, Johnston KP, Williams RO 3rd: Flocculation of polymer stabilized nanocrystal suspensions to produce redispersible powders. Drug Development and Industrial Pharmacy 2009, 35(3):283-296. 55. de Waard H, Hinrichs WL, Frijlink HW: A novel bottom–up process to produce drug nanocrystals: Controlled crystallization during freeze-drying. Journal of Controlled Release 2008, 128(2):179–183. 56. Gao L, Liu G, Wang X, Liu F, Xu Y, Ma J: Preparation of a chemically stable quercetin formulation using nanosuspension technology. International Journal of Pharmaceutics 2011, 404(1-2):231–237. 57. Möschwitzer J, Achleitner G, Pomper H, Müller RH: Development of an intravenously injectable chemically stable aqueous omeprazole formulation using nanosuspension technology. European Journal of Pharmaceutics and Biopharmaceutics 2004, 58(3):615–619. 58. Wang WP, Hul J, Sui H, Zhao YS, Feng J, Liu C: Glabridin nanosuspension for enhanced skin penetration: formulation optimization, in vitro and in vivo evaluation. Pharmazie 2016, 71(5):252-257. 59. Maulidin R, Müller RH: Preparation and storage stability of rutin nanosuspensions. Journal of Pharmaceutical Investigation 2013, 43(5):395–404. 60. Kakran M, Shegokar R, Sahoo NG, Gohla S, Li L, Müller RH: Longterm stability of quercetin nanocrystals prepared by different methods. Journal of Pharmacy and Pharmacology 2012, 64(10):1394–1402. 61. Mahesh KV, Singh SK, Gulati M:A comparative study of top-down and bottom-up approaches for the preparation of nanosuspensions of glipizide. Powder Technology 2014, 256(1):436-449. ISNAD Bektaş, Adem Eren , Uğur, Afife Büşra , Çetin, Meltem . "Nanosuspensions: Preparation Methods and Stability Issue". 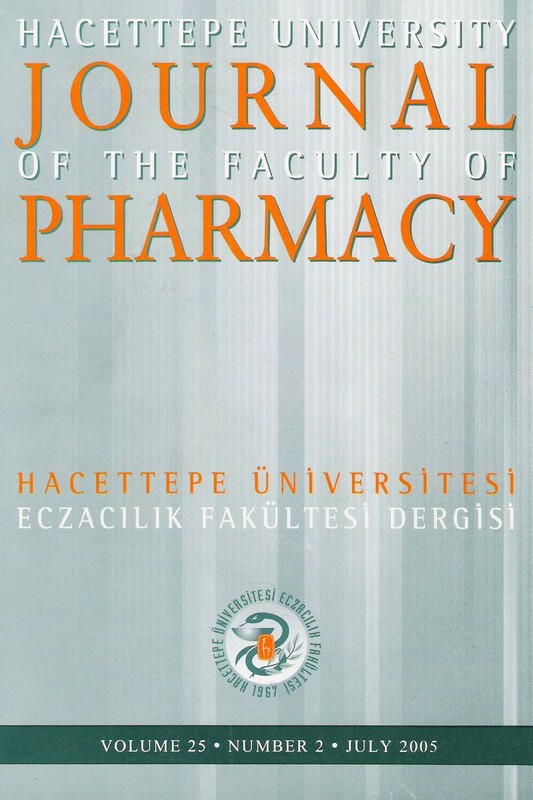 Hacettepe University Journal of the Faculty of Pharmacy 38 / 2 (June 2018): 85-101.